We have just been to see Killer Joe in London, was amazing theatre, the play it’s self is funny, intelligent, and dark to point of being uncomfortable. As ever I’m shattered! I did notice both last night, and today how much I’m having to think around crowds, and loose my point in space. Which is what the Vestibular Physio is trying to correct. And I’ve started supporting someone I used to pre the accident which is nice, and a lot closer! For a sad reason sadly as the young staff who had taken over, died a few weeks ago, for unknown reasons. 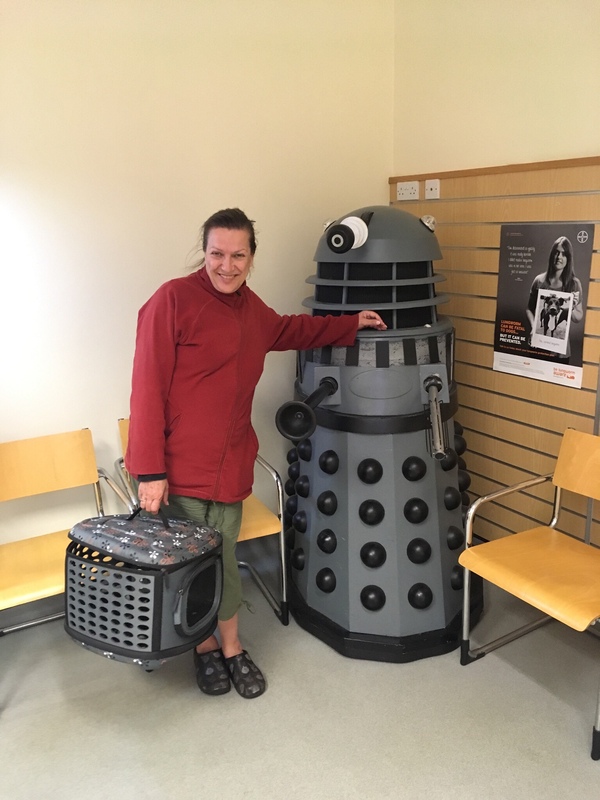 Talking of death, we found a very thin, cat with a lump on its face, looked very ropy so took it to the vet, which has a Dalek why? But sadly they rang next to say it had cancer, and had put it down.